Sherem went about teaching that Jacob was a false prophet and that there would be no Messiah. Image via lds.org. “And now behold, I, Sherem, declare unto you that this is blasphemy"
And ye have led away much of this people that they pervert the right way of God, and keep not the law of Moses which is the right way; and convert the law of Moses into the worship of a being which ye say shall come many hundred years hence. And now behold, I, Sherem, declare unto you that this is blasphemy; for no man knoweth of such things; for he cannot tell of things to come (Jacob 7:7). John W. Welch has looked closely at this episode in the Book of Mormon and has insightfully concluded that the whole incident, including Sherem’s accusations, Jacob’s defense, the vocabulary employed by both men, and the ultimate outcome, can be tied back to ancient Israelite jurisprudence. Specifically, it appears that Sherem accused Jacob of three capital offenses under the Law of Moses: “(1) causing public apostasy, (2) blasphemy, and (3) false prophecy.”2 This can be seen in Jacob 7:7, where Sherem accuses Jacob of leading “away much of this people” (apostasy), “blasphemy,” and not actually knowing of the coming of Christ, as man “cannot tell of things to come” (false prophecy). 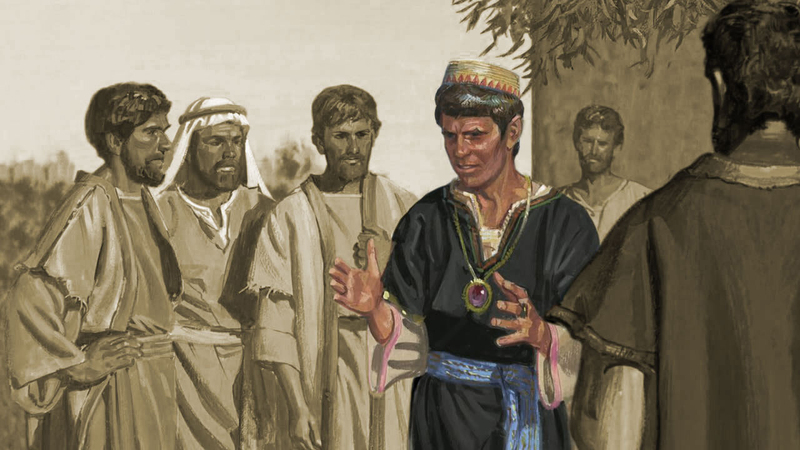 “If we take Sherem’s arguments at face value, he essentially resisted the messianic clarifications introduced by the revelations of Lehi and Nephi,” Welch clarified. “He preferred a system of legal rules based on the law of Moses . . . without any foreshadowing in light of messianic expectation.”3 Of course, by appealing to a reasoned exploration of the scriptures (Jacob 7:10–11) as well as his own prophetic testimony (Jacob 7:12), Jacob was ultimately able to “confound [Sherem] in all his words” (Jacob 7:8). After asking for a “sign” to convince him (Jacob 7:13), Sherem eventually recognized his guilt and confessed his errors “unto God” before he “gave up the ghost” (Jacob 7:17–20). Sherem himself acknowledged the deep seriousness of his wrongdoing. He greatly feared that he had committed "the unpardonable sin," having "lied unto God," and thus his case would be "awful" (7:19). While encouraging offenders to confess their wrongdoings, Hebrew law could leave it to God to carry out divine judgment in cases such as Sherem's. While the interaction between Sherem and Jacob can be interpreted and applied on many levels, a close reading of this account from an ancient legal perspective helps modern readers better understand what is an important underlying issue at stake in the story: how to judge righteously and discern false accusers from those with legitimate grievances. This in turn set an important precedent for understanding subsequent narratives in the Book of Mormon that touch on this theme. As Welch concluded, "The case of Sherem set the tone of righteous judgment underlying all that follows in the Book of Mormon." This is illustrated by juxtaposing the figures of Sherem and Jacob, and contrasting their respective behavior. A. Keith Thompson, “Who Was Sherem?” Interpreter: A Journal of Mormon Scripture 14 (2015): 1–15. John W. Welch, The Legal Cases in the Book of Mormon (Provo, UT: Brigham Young University Press and the Neal A. Maxwell Institute for Religious Scholarship, 2008), 107–138. John W. Welch, “Sherem’s Accusations against Jacob,” in Pressing Forward with the Book of Mormon, ed. John W. Welch (Provo, UT: FARMS, 1999), 84–87. 1. John W. Welch, The Legal Cases in the Book of Mormon (Provo, UT: Brigham Young University Press and the Neal A. Maxwell Institute for Religious Scholarship, 2008), 109. 2. Welch, The Legal Cases in the Book of Mormon, 117. 3. Welch, The Legal Cases in the Book of Mormon, 110. 4. Welch, The Legal Cases in the Book of Mormon, 131. 5. Welch, The Legal Cases in the Book of Mormon, 135. 6. Welch, The Legal Cases in the Book of Mormon, 137–138.